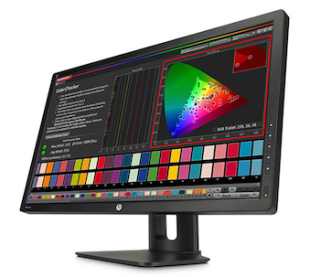 Software developer SpectraCal will now provide calibration support for the recently released HP DreamColor Z27x Professional Display. SpectraCal’s monitor calibration software CalMAN is the first third-party software capable of loading calibration data directly to the new HP DreamColor models, automatically updating the display’s native look-up-table and color matrix with the click of a button. The new DreamColor displays for PCs and Macs produce up to 1.07 billion 10-bit colors from a massive color gamut covering 100% of the Adobe RGB and 99% of DCI-P3 colorspace, an achievement of which few other displays are capable. “We used CalMAN throughout the development of the new DreamColor engine, and SpectraCal was really helpful in making the displays achieve tight color tolerances,” said Greg Staten, the DreamColor architect within HP Displays Engineering. Joel Barsotti, lead software developer at SpectraCal, was equally impressed with the accuracy of the new HP displays. He shared, “After a ten minute calibration with CalMAN, the color and grayscale accuracy of the display was well below a DeltaE of 1.” DeltaE is a widely used measure of error, with an error of less than 1 considered to be invisible to the human eye. In addition to calibrating the Z27x native RGB color gamut, CalMAN can also calibrate to a variety of colorspace and gamma standards depending on the user’s needs, including Rec.709, D-Cinema, and industry-specific standards. Direct DreamColor support is a feature of CalMAN RGB and CalMAN Studio version 5.3.5. CalMAN RGB and CalMAN Studio are available from authorized resellers as well as directly from SpectraCal’s online store.